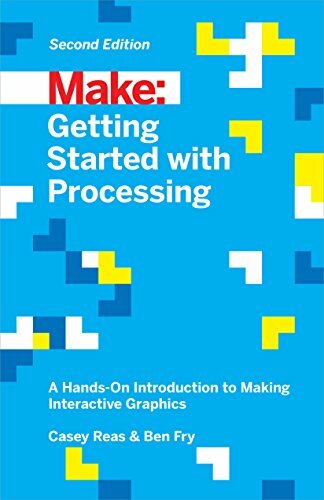 [PDF] Make: Getting Started with Processing: A Hands-On Introduction to Making Interactive Graphics (Make : Technology on Your Time) | Free eBooks Download - EBOOKEE! Description: Processing opened up the world of programming to artists, designers, educators, and beginners. This short book gently introduces the core concepts of computer programming and working with Processing. 2018-01-04[PDF] Make: Technology on Your Time Volume 37: Drones Take Off! No comments for "[PDF] Make: Getting Started with Processing: A Hands-On Introduction to Making Interactive Graphics (Make : Technology on Your Time)".